The San Diego Film Festival has quickly developed a reputation for premiering blockbuster films in San Diego. More and more, film enthusiasts are coming to San Diego to bask in the light of the glitz and glamour, the fiestas and functions, the artists and aficionados, celebrities and more that travel from LA, New York, London or Sydney so they can be a part of this popular 5-day festivals. San Diego is one of the most beautiful cities in the USA and is host to one of the most anticipated film festivals on the festival circuit. Often described as America's Finest City, San Diego is famous for its moderate year-round climate, nice beaches, popular attractions that draw millions of visitors each year, plus the heart and soul of San Diego - its bustling arts community. 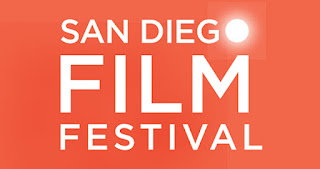 The San Diego Film Festival brings an exciting wave of international culture to San Diego with film-makers, actors, critics, artists and storytellers. Make plan to attend the premieres, award-winning indies, interviews with directors and actors, and the opportunity to visit with other film enthusiasts. San Diego Tourist Information, Attractions, Restaurants, etc.